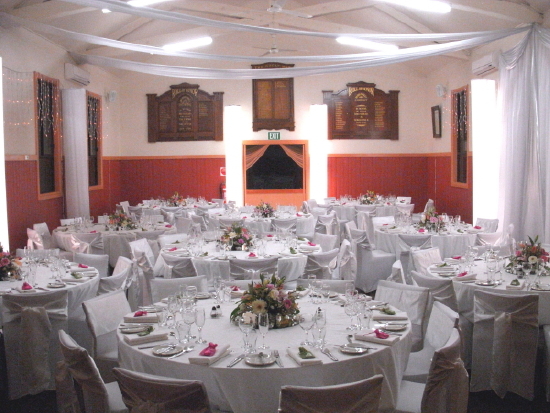 Description of Venue: The name Burrumbeet is derived from the local aboriginal word burrumbidj meaning muddy or dirty water. European settlement occurred in in the area in 1838 when Thomas Learmonth and his brother took up the Ercildoun squatting run to the north of the lake. The Ercildoun homestead still exists today and is opened twice a year for public visits. Other features of this small agricultural community include the pub, Lake Burrumbeet and the racetrack which hosts the New Year's Day Burrumbeet Cup. 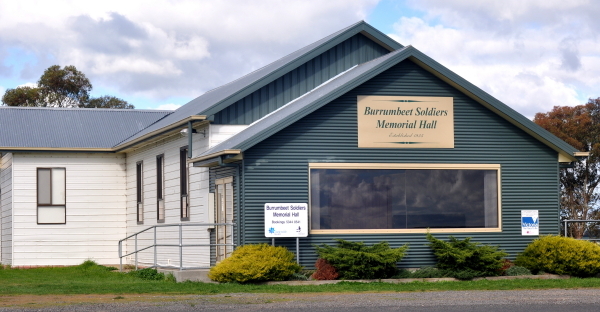 The Burrumbeet Soldiers Memorial Hall was built in 1935, and used regularly by the local community for meetings and events such as Burrumbeet CFA meetings, Burrumbeet VFF mmetings, Western District Arab Riders Association meetings, Bible study group, Ballarat Veteran Cycle Club and The Friends of Lake Burrumbeet. 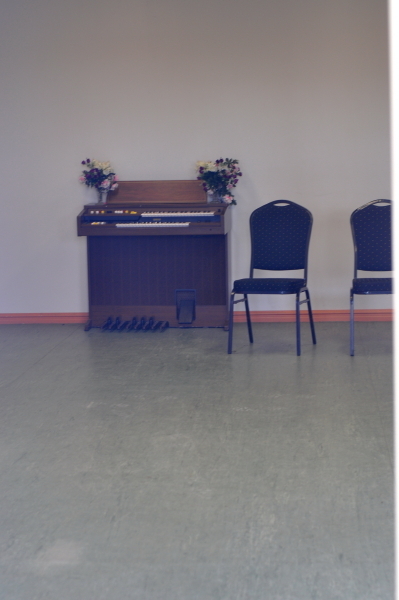 The hall is available for hire and is suitable for private functions such as Christmas parties, birthday parties, reunions, fundraisers and exhibitions. 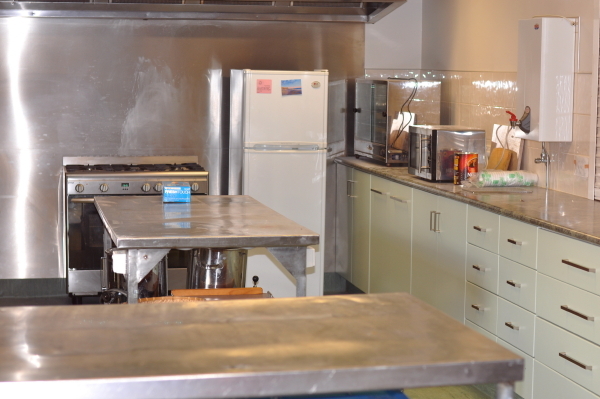 The well equipped kitchen includes a commercial stove/oven fridge, pie warmer, instant hot water, urn and crockery and cutlery. 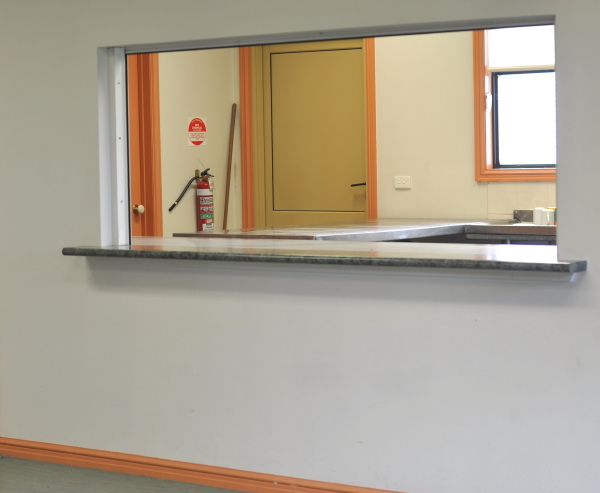 There is ample bench space for food preparation, and there is a servery window to the supper/meeting room for easy food presentation. The hall has split system heating and cooling, and ceiling fans. There is ample off street parking for large events. 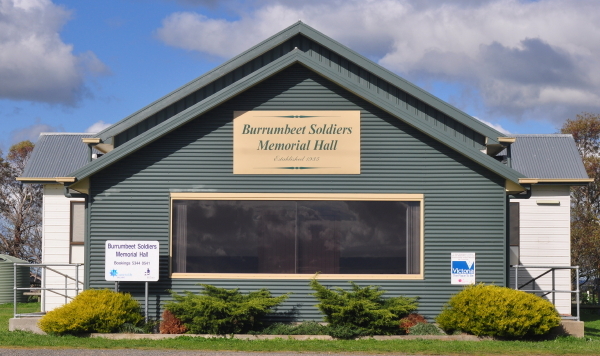 Types of events which are run/held: Regular users : Burrumbeet CFA, Burrumbeet VFF, Western District Arab Riders Association, Bible study group, Ballarat Veteran Cycle Club, The Friends of Lake Burrumbeet. 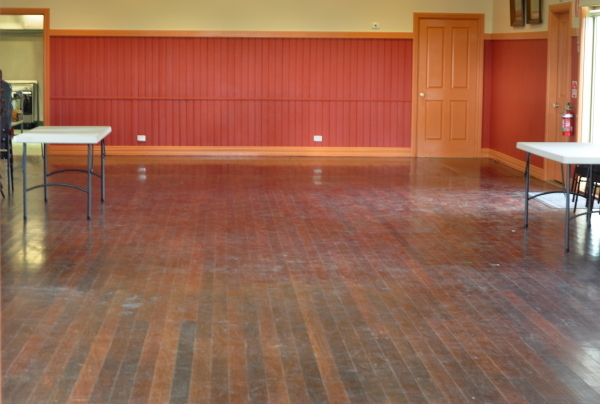 The hall is suitable for private functions such as Christmas parties, birthday parties, reunions, fundraisers and exhibitions. Is the venue open to the public, when and what times? A variety of hobby groups and community groups use the hall on a regular basis, and new members are welcome to join these groups and attend meeting and events. 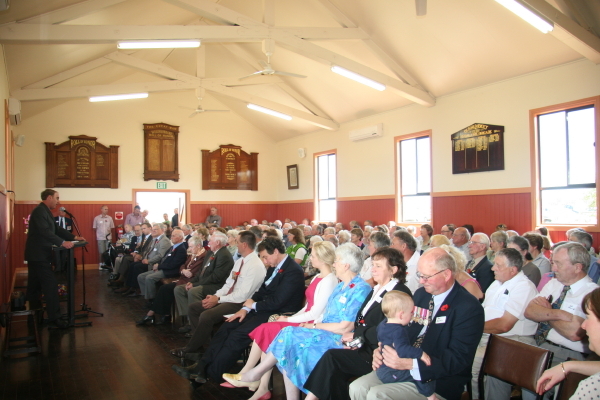 Groups include Burrumbeet CFA, Burrumbeet VFF, Western District Arab Riders Association, Bible study group, Ballarat Veteran Cycle Club and The Friends of Lake Burrumbeet. 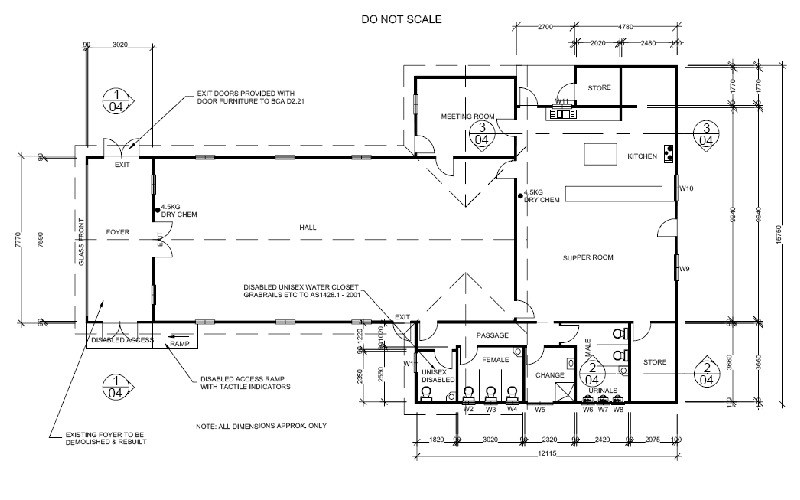 Kitchen: Kitchen includes a commercial stove/oven fridge, pie warmer, instant hot water, urn and crockery and cutlery. Stage: Demountable stage: 4 sections of 2.4 X 1.8 metres which can be arranged into various different configurations.